Acoustic/vestibular schwannoma develops gradually over a period of years, growing at a rate of roughly 1-2 mm each year. Most often, it may not manifest any obvious symptoms in the earlier stages. As a result, many patients with this tumor often fail to recognize any symptom in the initial stage. The earliest symptoms of acoustic neuromas include ipsilateral sensorineural hearing loss/deafness (i.e. impairment or loss of hearing on the same side in relation to the side of occurrence of schwannoma), disturbed sense of balance and altered gait, vertigo with associated nausea and vomiting and pressure in the ear, all of which can be attributed to the disruption of normal vestibulo-cochlear nerve function. aften impaired hearing is than 80% of patients have reported tinnitus. Acoustic neuromas may be idiopathic,  or in some cases occur as part of von Recklinghausen neurofibromatosis, in which case, the neuroma may take on one of the two forms. In neurofibromatosis type II: Bilateral acoustic neuromas are the hallmark and typically present before the age of 21. These tumors tend to involve the entire extent of the nerve and show a strong autosomal dominant inheritance. Incidence is about 5-10%. 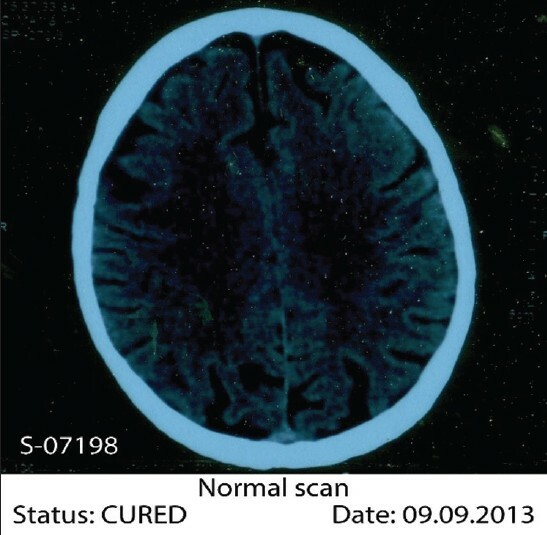 Contrast-enhanced Computed Tomography (CT) will detect almost all acoustic neuromas that are >2.0 cm in diameter and project further than 1.5 cm into the cerebello-pontine angle. Those tumors that are smaller may be detected by Magnetic Resonance Imaging (MRI) with gadolinium enhancement. Audiology and vestibular tests should be concurrently evaluated using air conduction and bone conduction threshold testing to assess for sensorineural versus conduction hearing loss. A 68-year-old retired Principal consulted us on 13-1-13 for sudden of severe headache with vomiting in the night of December 31, 2012. He gave a history of hearing trouble with tinnitus and headache with disturbed sleep for the last 3 years. 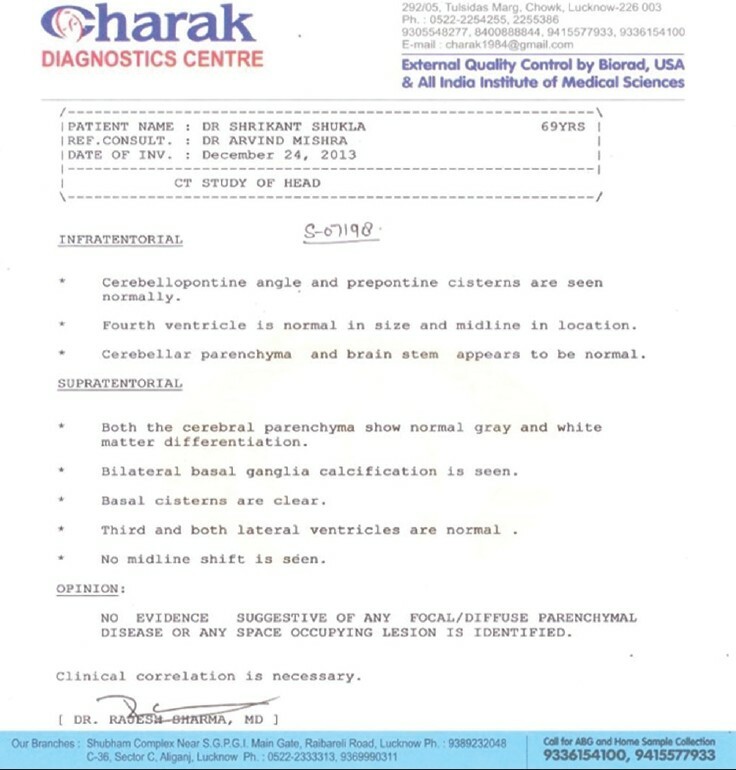 He was also suffering from hypertension since last 10 years, Grade I Benign Prostatic Hypertrophy and fungal infection in groins suppressed by betnovate and quadriderm. Patient had been taking Allopathic and Ayurvedic treatment. The patient was a 68 year old retired Principal of Government College. Being the Principal, dictatorship came naturally to him as he had to maintain discipline in the college but at the same time he had also to cope up with the situations arising while working in a Government setup. Thus diplomacy was a part of his work. He had tendency to contradict others even though the person in front of him may be correct because every time his logical mind was overpowered by his basic nature of dictatorship. As a routine he had to attend meetings with his seniors and address his colleagues, subordinates and students. Not being a good orator be, had severe anticipatory anxiety and these meetings were like an ordeal for him. His personality clearly depicts the anxiety in his nature, may it be about public appearance, work related or about himself. He was also very particular about his personal appearance, cleanliness in surroundings, punctuality and perfection in work making him systematic and fastidious. Despite being strong personality, the fear element associated with his anxiety is reflected when he is in closed or narrow place like lift, air conditioned coach in train etc., The same fear and anxiety was about the well-being of his relatives, family members, near and dear ones. It was irony of fate that in the last 4 years he had undergone tremendous grief due to untimely demise of his brother in 2009. By the time he could overcome the trauma another episode of death of his young nephew in 2012 added to his vows. The persistent grief lead to episodes of headache with tinnitus and hypertension with sleep disturbances. Well-defined heterogeneously enhancing lobulated space occupying lesion is seen involving left cerebello-pontine angle region measuring 2.24 cm × 2.61 cm with evidence of intralesional calcification - suggestive of vestibular schwannoma [Figure 1] and [Figure 2]. 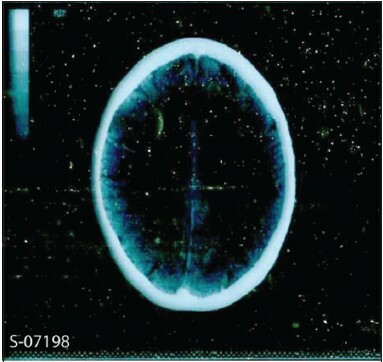 Moderate sized well-defined heterogeneously enhancing extra-axial space occupying lesion in left cerebello-pontine angle region measuring 2.5 cm × 2.4 cm × 2.4 cm-likely acoustic schwannoma [Figure 3]. The repertorization was done using complete repertory with the help of Hompath Classic software (version 8.0)  after selecting the following rubrics. The rubrics-disposition to contradict, claustrophobia, anticipatory anxiety, dictatorial, cowardice, grief, anger from contradiction and ailment from suppressed anger strongly favored the selection of Lycopodium [Figure 4]. 1 st Prescription: (13/1/2013): Lycopodium 30C once a week followed by Placebo for 4 weeks. Headache reduced, but tinnitus remained as such. No relief in urinary symptoms. Lycopodium 30C was repeated once a week followed by placebo for 4 weeks. Heaviness head reduced, but tinnitus remained as such. Lycopodium 30C was repeated once a week followed by placebo for 4 weeks. Heaviness head and tinnitus remained as such. Chininum sulph. 30C was prescribed twice daily for 4 weeks as short-acting intercurrent remedy for tinnitus and heaviness head. Patient had fracture tibia due to fall, was operated and fixation was done with a nail in situ. Heaviness head reduced, but tinnitus remained as such. Chininum sulph. 30C was repeated twice daily for 4 weeks. Patient overall as such. Lycopodium 200C was prescribed once followed by placebo for 4 weeks. Headache and tinnitus remained as such. Lycopodium 200C was repeated followed by placebo for 4 weeks. Headache and tinnitus better but hearing impairment remained as such. Lycopodium 200C was repeated once followed by placebo for 4 weeks. 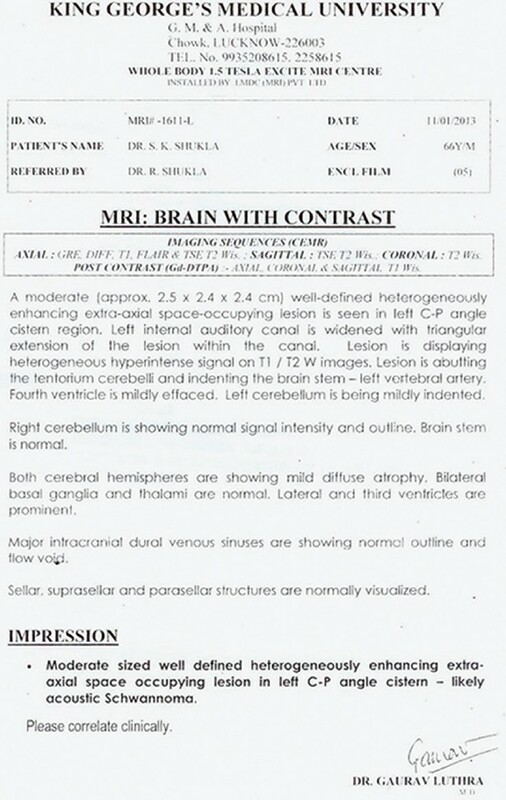 CT scan head dated 9/9/13 revealed moderate symmetrical atrophy both cerebral hemispheres and mild dilatation of both lateral ventricles with no evidence of acoustic/vestibular schwannoma [Figure 5] and [Figure 6]. Headache and tinnitus almost subsided but hearing impairment remained as such. Lycopodium 200C was repeated weekly followed by placebo for 4 weeks. Patient consulted neurosurgeon who did not agree with the last CT scan report and advised to undergo MRI, which was deferred due to nail in situ in the fractured bone. 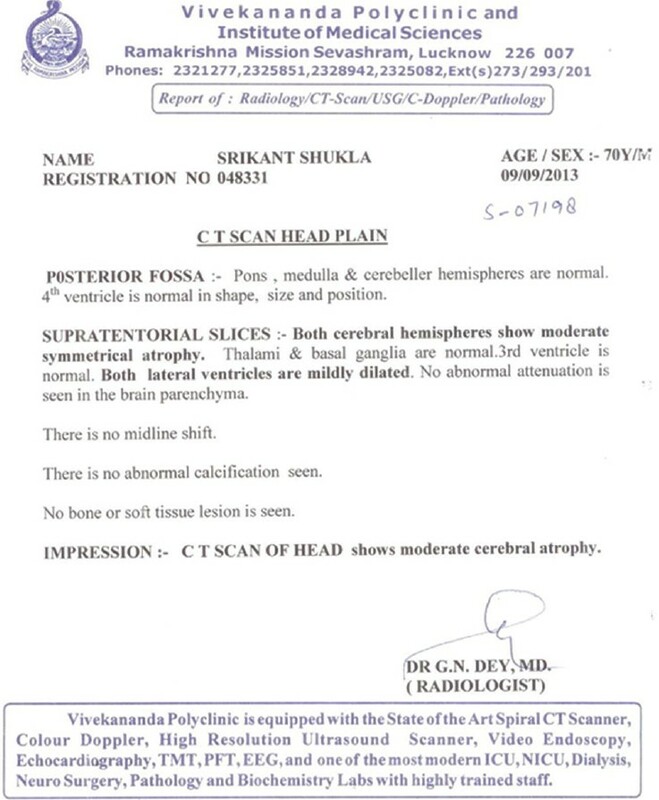 A repeat CT head, therefore, was advised to confirm the status. 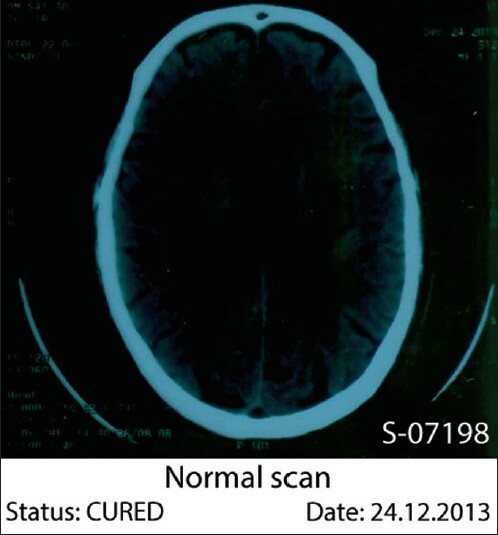 Scan of head dated 24/12/13 was again normal with no evidence suggestive of any focal/diffuse parenchymal disease or any space occupying lesion [Figure 7] and [Figure 8]. 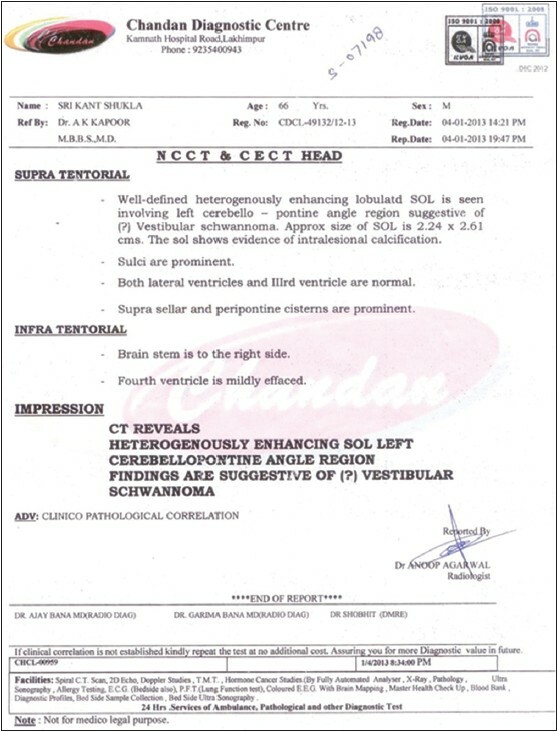 The patient was diagnosed to be suffering from acoustic/vestibular schwannoma left cerebello-pontine angle. On enquiring, he gave a history of hearing trouble and tinnitus left ear with headache and disturbed sleep. Sensorineural hearing ability is mediated by the inner ear composed of the cochlea with its internal basilar membrane and attached cochlear nerve. The outer ear consisting of the pinna, ear canal, and ear drum or tympanic membrane transmits sounds to the middle ear but does not contribute to the conduction or sensorineural hearing ability. The patient did not undergo any other therapy like radiotherapy/radio surgery during the whole course of treatment because it could not be carried out without biopsy which he did not want to undergo. Hence he resorted to Homoeopathy which radically eliminated the disease. This rare case of acoustic schwannoma which required surgical removal but was cured by homoeopathic medicine Lycopodium while Chininum sulph. 30C was prescribed as short-acting intercurrent remedy for tinnitus and heaviness head. Since the main concern of the patient was acoustic/vestibular schwannoma hence regular monitoring for hypertension and benign prostatic hyperplasia (BPH) was not done. However, the patient reported symptomatic relief in BPH and his blood pressure remained within normal range due to constitutional treatment. The prescription was based purely on mental symptoms because as per principles of Homoeopathy one physical general can rule out several particulars and one mental general can rule out several physical generals. 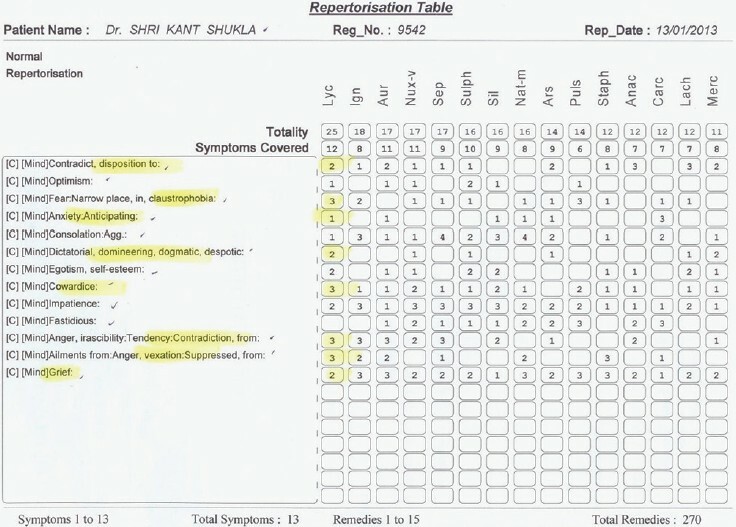 This particular patient was treated as a whole on the basis of totality of symptoms giving more emphasis to mental symptoms to indicate the remedy instead of clinical and pathological symptoms. Acoustic Neuroma. NHS Choices. Available from: http://www.nhs.uk/conditions/Acoustic-neuroma/Pages/Introduction.aspx. [Last accessed 2013 Aug 30]. Acoustic Neuroma - Diagnosis and Treatment-UPMC, Pittsburgh, PA, USA. Complete Repertory of Hompath Classic (version 8.0), 2006, (CD ROM). Boericke W. Pocket Manual of Homoeopathic Materia Medica. 9 th ed. Fourth reprint. Boericke and Runyon, INC, New York; 1975. p. 195-6. Acoustic Neuroma Association (November 2013). Acoustic Neuroma Basic Overview. ANA Patient Information Booklets: 3. Hearing disorders-Acoustic neuromas (also called Acoustic Tumors and Vestibular Schwannomas): Causes of Acoustic neuroma. House Ear Clinic.